On September 8, 2017, the Ballast Water Management Convention (BWM) entered into force. BWM is a global treaty focusing on better management of invasive aquatic species and healthier marine ecosystems. A key international measure for environmental protection that aims to stop the spread of potentially invasive aquatic species in ships’ ballast water enters into force today, 8 September 2017. Congratulating the International Maritime Organization (IMO) and all the other partners involved, Global Environment Facility (GEF) CEO and Chairperson, Naoko Ishii, said, “The entry into force of the Ballast Water Management Convention (BWM) was facilitated by the GloBallast programme, a long-term productive partnership between GEF, IMO, UNDP and a suite of partners. Implementation of the Convention will be instrumental in battling invasive aquatic species, and will lead to healthier marine ecosystems. The Convention will also further accelerate demand for private sector investment in the global ballast water treatment industry. In short, the BWM Convention is simply good news for the protection of our environment and the economy”. 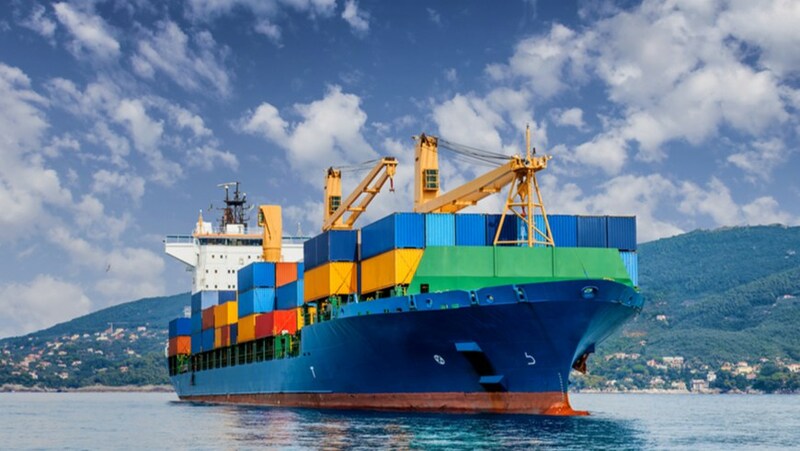 The transfer of harmful aquatic organisms and pathogens between marine ecosystems through ships’ ballast water and sediments is one of the greatest threats to the world’s coastal and marine environments and one of the biggest environmental challenges facing the global shipping industry. UNDP Administrator, Achim Steiner stated: "The coming into force of the global ship’s Ballast Water Management Convention represents an important milestone for our environment. Invasive species represent a significant threat to aquatic ecosystems and the livelihoods and economies that depend on them. As a stringent global mechanism that will significantly reduce ship-mediated invasive species risk, implementation of the Convention will reduce the substantial economic damage, lost livelihoods and human health impacts invasive species can cause. As the GEF Agency overseeing GloBallast for almost 20 years, UNDP takes great pride in this partnership and the catalytic role the GEF-UNDP-IMO GloBallast Programme has played in bringing the Convention to this historic moment”. This major milestone also coincides with the closing of a highly successful GloBallast Partnerships Project of the Global Environment Facility (GEF), the International Maritime Organisation (IMO) and the United Nations Development Programme (UNDP), which concluded on 30 June 2017, after 17 years in operation. With a relatively small investment by the GEF (USD 12M), GloBallast Partnerships became a flagship transformational project of the GEF, UNDP and IMO which has supported and promoted the development of uniform legal, policy and institutional frameworks in several developing countries, and has undertaken a major capacity-building programme in over 70 countries. GloBallast has also established a unique public-private partnership, the Global Industry Alliance for Marine Biosecurity (GIA), to catalyze and promote new technological solutions to serve a ballast water treatment technology market valued at USD 30-50 billion. GEF, UNDP and IMO remain committed to reducing aquatic invasive species risk and, recognizing the ‘other half’ of the invasive species challenge – ship hull fouling - a concept for a new project, GloFouling (https://www.thegef.org/project/building-partnerships-assist-developing-countries-minimize-impacts-aquatic-biofouling) , was recently prepared and approved by the GEF Council in its May 2017 session. This project will build on the approach and experience of GloBallast to assist developing countries and engage private sector actors in reducing the transfer of invasives via ‘biofouling’ (growth of organisms) on ship hulls and other mobile marine infrastructure. The Global Environment Facility (GEF) was established on the eve of the 1992 Rio Earth Summit to help tackle our planet’s most pressing environmental problems. Since then, the GEF has provided over USD 17 billion in grants and mobilized an additional USD 88 billion in financing for more than 4000 projects in 170 countries. Today, the GEF is an international partnership of 183 countries, international institutions, civil society organizations and the private sector that addresses global environmental issues.